No matter how much traditional market traders try to avoid it, cryptocurrencies have become a staple trading asset of the 21st century. Every financial news website you go to, you’re guaranteed to find some information about cryptocurrencies. In fact, the majority of articles will be concerning cryptos. The reasons are quite simple, the industry is quite young, which makes the updates a lot more frequent and impactful. However, just talking about the impact that cryptocurrencies have made worldwide is not enough to emphasize the scale. In order to truly display the value, we need to look at statistics and numbers all around the world. Thankfully, ForexNewsNow has created an extensive infographic about this exact topic. The infographic showcases, legal matters, taxes, ATMs, crypto exchanges and popularity of the digital assets in every country of the world. According to the infographic, we can easily see that the USA, China and the UK are leading in terms of interest, adaptation and implementation of cryptocurrencies. However, some smaller states have shown to be an exception. 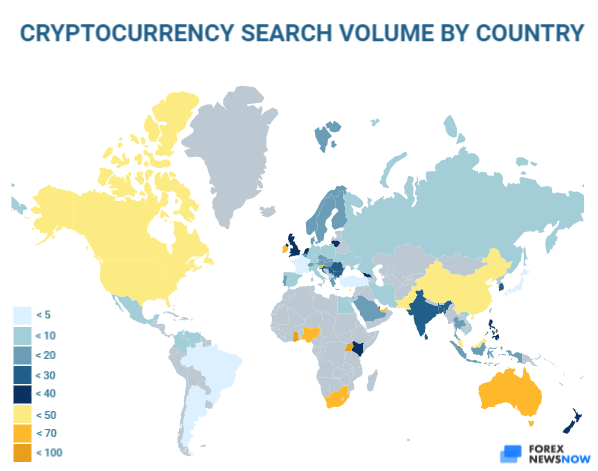 For example, South Africa and Nigeria are in the top 3 countries that are most interested in cryptocurrencies, and a small Caucasian nation, Georgia, is in the top 3 countries with the most mining power in the world. The source of the article can be seen here. UproFX a newly launched brokerage. Is it a scam?